Only one status change today, as Obama’s lead in Connecticut tops 10% in the five poll average. 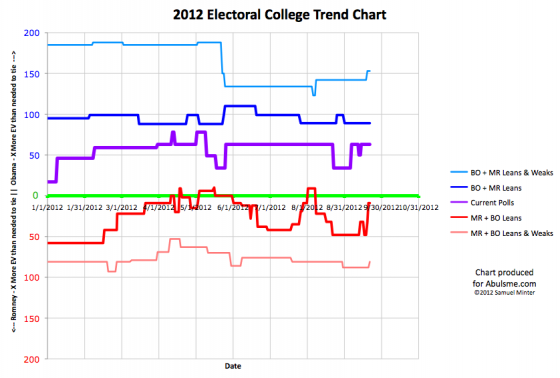 On August 30th Obama’s lead in Connecticut dipped slightly below 10% in my five poll average. With the first new poll in the state since then, the average pops back above 10% to 11.4%. 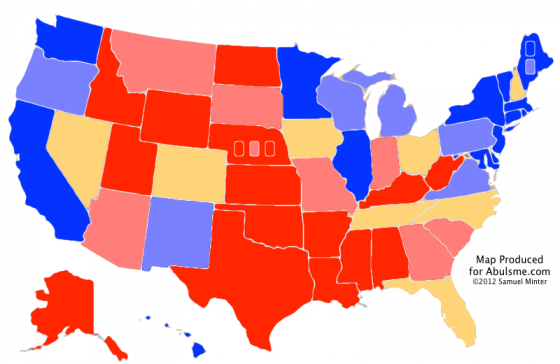 So I once again classify Connecticut as “Strong Obama”. While the last poll is quite a bit higher than anything seen before and may be an outlier, the five poll average has been over 10% for almost all of the last year, so this is probably more representative of the “normal” status for Connecticut. Not much else to say this time around. 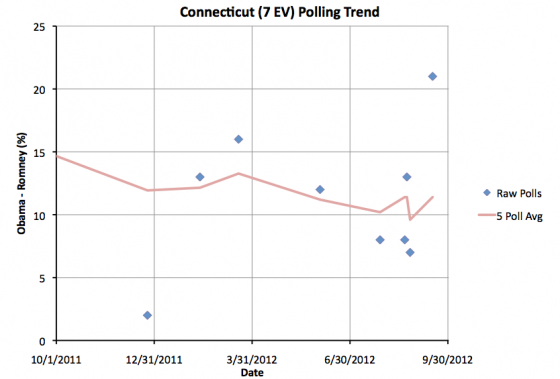 Obama increasing his lead in Connecticut doesn’t change the state of the race. There are now tons of new polls every day though, so keep tuned, there will undoubtidly be more changes to the core “Lean” and “Weak” states soon enough. 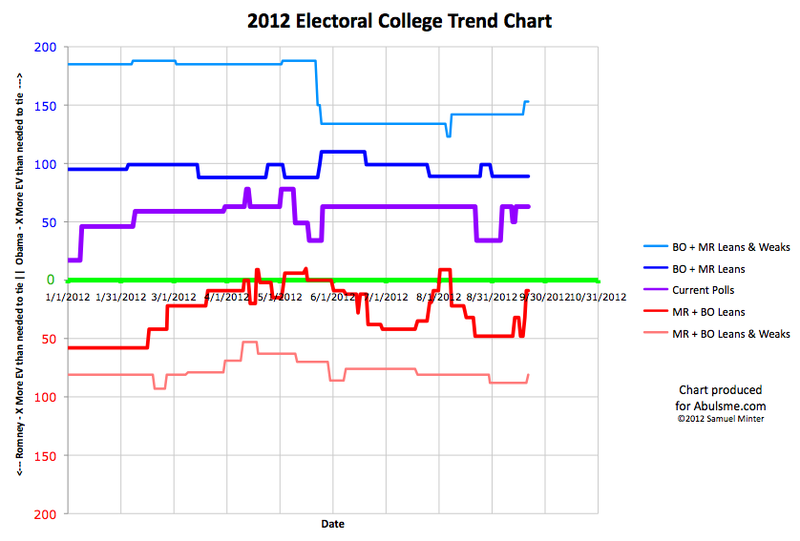 Most polls are still of the Lean Obama and Weak Obama states though. This is natural, as these are the states that will end up closest to the 269 electoral vote line if you ordered them by support levels, but it would be nice to get a few more polls on the Weak Romney states to see if Obama is gaining ground there too, or if those states are consolidating for Romney. Maybe there will be some of those polls soon. Edit 2012 Sep 22 23:51 to add final note.